The US Patent and Trademark Office (USPTO) has recently published an Apple patent application titled “Electronic Device With Sensors and Display Devices”, which suggests that features like 3D hand gestures and Face ID could be included in the future versions of Apple’s HomePod speaker (via MacRumors). The filing, which refers to the HomePod as a voice-controlled assistant “countertop speaker”, notes that the device may feature various sensors and cameras that “gather hand gestures and other three-dimensional gesture input”. Gestures described herein include focus gestures and unlock gestures. A focus gesture enables the user to engage an inactive non-tactile 3D user interface. 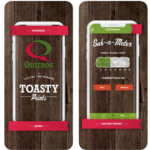 An unlock gesture enables the user to engage a locked non-tactile 3D user interface, as pressing a specific sequence of keys unlocks a locked cellular phone. In some embodiments, the non-tactile 3D user interface conveys visual feedback to the user performing the focus and the unlock gestures. Furthermore, Apple explains that the device could identify users in its vicinity using “facial recognition”, as well as measure the distance of users to the speaker. The patent also details a bunch of other potential features for a future HomePod, such as ambient light sensing, displaying a sunshine icon if sunny weather is forecast, displaying the logo of a sports team that wins a game, heart rate sensing, and much more. 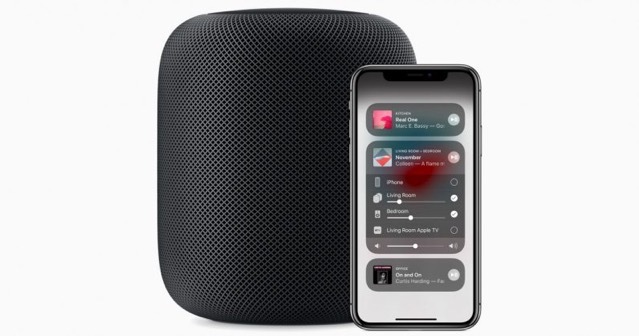 The application was originally filed in July 2017, six months before to the launch of the current HomePod.